The 106 Beadlock is a new style that combines clean and modern styling with unrivaled off road functionality. 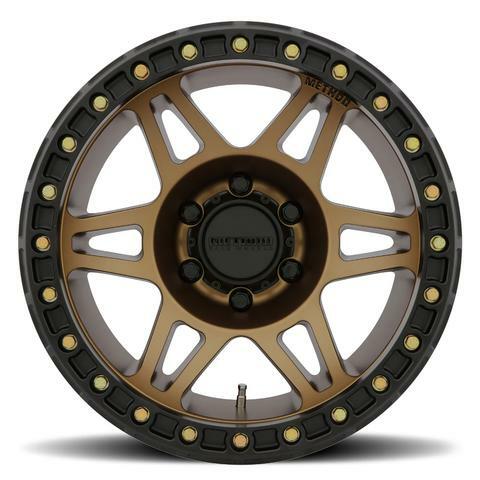 The no-frills split six-spoke face design has deep concave thanks to a 3.5” backspace (-44mm offset) on a 17×9 wheel. A Method logo is debossed into the wheel at the end of one of the spokes. 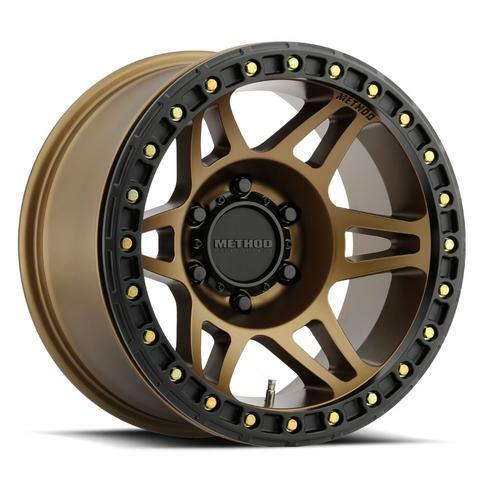 The bronze 106 includes a matte black v.3 ring, hardware kit and a bolt-on aluminum center cap. Five and six lug will be available off the shelf and blanks will be offered to accommodate anything else you may need. 8 lug options will include a push-through center cap.